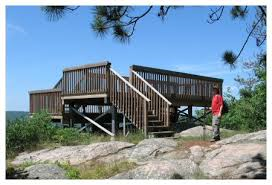 A trip to Bancroft is not complete without a visit to the top of the Eagle's Nest for a panoramic view of the York River Valley below. There is a place to park at the top of the steep road (summer months only) that winds its way up to the lookout from Hastings Street North (Highway 62). This view is even more spectacular during the fall colours. During the winter The Eagles Nest is a great palce to go snowshoing with trails that will challenge your ability varying in length from 2km to 7km and beyond. The main feature that awits your arrival is The Hawk Watch Platform. 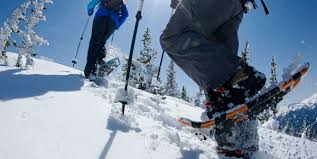 Arrive at Trips and Trails for snowshoe rental outfitting, or bring your own. Please book in advance. Guided and non guided trips available.Group discounts. Trail Maps and info. Pack snacks drinks and camera. $65.00 per person guided/shuttle plus tx. The Vance Farm Park was donated by Donald and June Vance to the Town of Bancroft in 1998 and officially opened in August, 2001. The Park entrance is located at the end of Oak Street, in the southwest quadrant of the Town, and comprises an area of approximately 37 acres. The Vance Farm Park is a natural environmental setting consisting of walking and hiking trails. 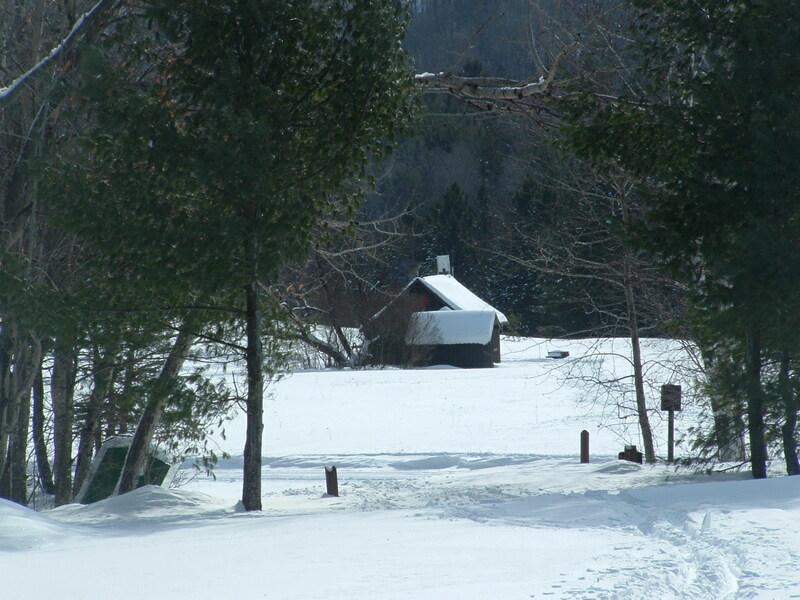 During the winter months a snowmobile trail crosses the property. 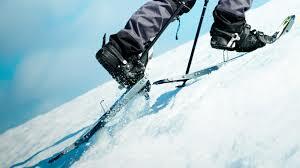 Also a great palce to go snowshoing. $55.00 per person incl. shuttle plus tx. Egan Chute is a long cascading waterfall located 10km east of Bancroft on Hwy 28. The falls are on the York River in Egan Chutes Provincial Park. The ‘chute’ from which the falls get their name is formed by a natural V-shape in the rock at this part of the York River. There are no guard rails at the falls, so take caution walking around them. $195.00 per person plus tx. This rustic style cabin located three km of the beaten path, is perched on a hill overlooking a meadow with views of The Canadian Shield. South facing, the cabin gets hours of sunlight and warmth even on chilly days. The cabin features a rustic kitchen with plenty of room to prepare dinner for a small group. Acommodation for six people, woodstove heat, propane stove and outhouse. No running water. Truly the all Canadian Experience. 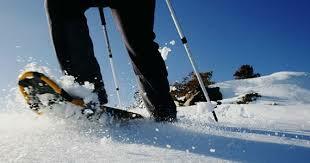 Arrive at Trips and Trails for snowshoe rental outfitting, or bring your own. Please book in advance. This trip is guided. Bring backpack,sleeping bag, personal items,food and additional clothing.